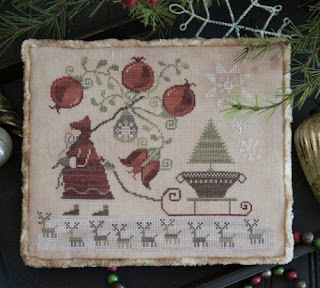 Homespun Stitchworks..... For the love of vintage: Vintage fabric, buttons and thread .... I have missed you! Vintage fabric, buttons and thread .... I have missed you! contagious .... Pass it on! I have had such a wonderful time off and spending it with a great friend and my lovely husband has been the best. We are all meeting up in London in December for a few days, we are off to the ballet for my Birthday to see the Nutcracker and going to the Ritz for tea another day but that is it until then so it was lovely to spend the time together. Our friend is moving from Devon and going to Norfolk near his family so it will be a much longer journey for us all to get together, however London is half way each. As you can see we have been planning and booking whilst we were all together on this week. Planning a day trip in the January or February to the V and A as well as Liberties too so things to look forward to and of course we will make the journey to go stay with him and see his new home. The thing is if you have a great friend you will travel any distance to see them and for us this is a two way street, a little further, yes, too far? never !! Thank you for some lovely emails saying you have missed my ramblings on here, I have missed sitting and talking to you all on here as well, it is part of days now and when I do not do it on the four days, well it is strange! and I actually miss it too. Because of sorting out my stitchery room before my time off and because I had sorted lots of project baskets ready I am able to hit the ground running this morning as my husband likes to say. It is so good to be back in my sewing room and looking out the window at the wild life and sipping my coffee this morning .... although when I was up before everyone I crept into my sewing room and pulled up my cosy chair with a coffee and had a few stolen stitches I must admit.... The house though does seem very silent ... the laughter these walls heard. and for a little longer that normal and she is going to have Christmas Day with us so I am busy planning that now as well .... the laughs that will be had. So much to look forward to these winter months, I am wondering how much time will actually be spent on my Winter quilt project!!! It is a exciting week because at the end of it we are off to Toddington vintage fair in the gorgeous Cotswolds and I am so looking forward to it. I only seem to see the lovely Alison of Betty and Violet once a year at the moment because she has her vintage shop too although I will be seeing her again next month this year as well and this could well result in a evening out too!! We are also meeting up with darling Jo of Hesta Nesta and her lovely husband too! and to top it all off one of my favourite vintage fairs as well. So there will be a jolly six out for dinner on Saturday night. I have added to my list of things to look out for, as you do but really I do not need anymore fabrics right now, not to say that if there is a piece of paisley or eiderdown fabric that is different to what I already have it will not come home with me would be a fib because it would for sure! I am always on the look out for threads and buttons and of course ribbons. I want the Winter Star to have as many blended old and gorgeous fabrics as possible and that there is my justification ... a memory wall hanging in a way. I was so excited about this fair that very early this morning I started packing to go .. well it had to be done. Photos will be taken and I will report back to you all that could not make it to this fair. I will go around snapping photos and let you see. For now though I have to settle down and focus my mind on work this week. I have several things to start and one to finish so it is heads down and try and focus on my working week. 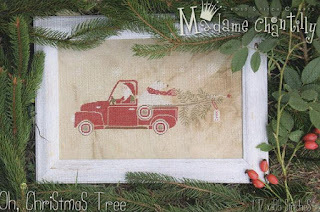 Also some typing on fabrics will be done this week to experiment with to stitch onto samplers. I am starting with sepia ink in the Imperial to see what it looks like in capitals and worn fabrics so I am looking forward to that because I want to finish some designs off in my design journal. Words that have been typed on a 1906 typewriter is just thing to add to some stitchery and I am hoping that what is in my head will indeed be as good in real life. I will be doing that later in the day though. These are both of the ones that are ready for me to cross stitch and yes I know its Christmas ones but I would like them up this Christmas. The polar bear sat in the back of the truck holding the tree with his scarf on! Oh I love it. For today though it is back to the here and now and I have my basket to pick up and continue my day. I had such a lovely time off but I am more than ready to get back to my slow stitching by day and cross stitch by night. I also have some letter writing to do as I belong to a Happy Mail group and it really is a pleasure getting out my calligraphy pen with sepia ink. Writing a letter and making an envelope, then getting out the wax and seal and a few lovely little gifts to pop inside. I now write to around eight people around the world and it is great to swap ideas and threads, buttons and empherma along with all our chatty news to one another. Do not forget that the competition I set before my break is still open until 6 pm so just scroll back to Friday 4th August and leave your comment on here to go into the hat to win the gorgeous book. Sorry no comments left on the FACEBOOK page will be counted so on the blog please. It is worth it if you are reading this it is easy to leave a comment and then I do not miss anybodies name going back and forth to see new names ... this way it is easier. We went to the V&A whilst we were in London, have to say I was a bit disappointed when I went, I suppose its because I remember it so well in the late seventies when I spent nearly every weekend there. That is so true with great friends. we have a great friend like that to the extent he was invited to each of our three son's weddings. Oh I love the Victoria and Albert the fact that you can just find a quiet spot and sit and look about you. Good to be back and thank you for being here to say hello. So pleased that you enjoyed your time off. It wasn't the same without you! Sounds like you have lots to look forward to. I'll be interested to see the typed words, should be fun and it's nice to experiment with new ideas. Had a lovely time now time to see some more. I think typed words will be fun .. Going to give it a go!